Almond Blossom was painted immediately before one of his attacks; "My work was going well," he informed his brother, "the last canvas of branches in blossom - you will see that it is perhaps the best, the most patiently worked thing I had done, painted with calm and with greater firmness of touch. And the next day, down like a brute." Poised between lucidity and desperation, this lacework of light and color is kept aloft by the confidence Van Gogh had acquired in the previous two or three years and the sheer technical finesse now at his command. 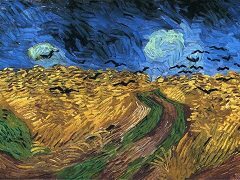 During the course of his career, Vincent would copy a few Japanese paintings and were deeply influenced by his admiration for Japanese art. In 1888 Vincent wrote to Theo "About this staying on in the South, even if it is more expensive, consider: we like Japanese painting, we have felt its influence, all the impressionists have that in common; then why not go to Japan, that is to say to the equivalent of Japan, the South?" At the back of his mind may well have been a blossom study from a Japanese print, such as the work by Kunisada acquired at some point by the two brothers for their collection. In the "firmness of touch" of Almond Blossom, we see the culmination of years of intensive, questioning draftsmanship; and in the openness and buoyancy of the design, we sense the optimism that the artist - despite his insurmountable condition - could magnificently, magically translate into paint. In painting the Almond Blossom, Van Gogh was not out to revive his own optimism, but to make an offering to his ever-caring brother. 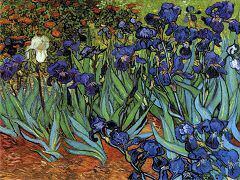 In spring 1889, Theo had married Jo Bonger, and in February 1890 she gave birth to their son, whom they named Vincent after the boy's godfather. 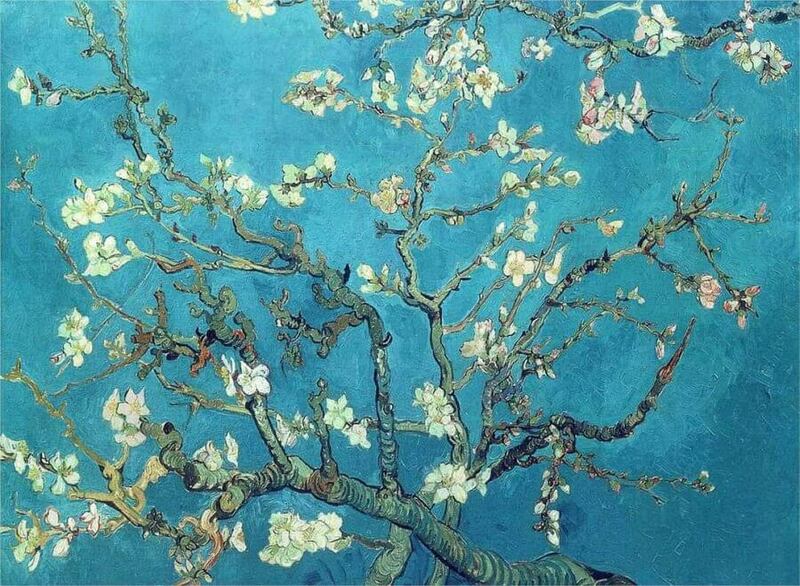 The Blossoming Almond Tree was van Gogh's present to the infant that would perpetuate his name. Never before had he viewed the bright buds in such close-up; never before had he lavished such colour on the glorious blossoms. The hope expressed in the painting is bound up with human life and thoughts of the future. It is not exactly Utopian in character; rather, the keynote of the painting is longing. 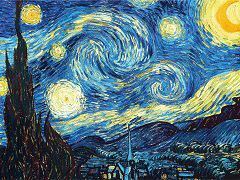 And it is not really a reminiscence of Aries at all - in a sense, the painting is a celebration of family life, which Vincent the godfather now felt part of again. In the picture he tried to call forth for his godson what was denied to him: a carefree, happy future. "My dear brother, later one occasionally finds it necessary to remember", he wrote rather inscrutably in a letter when Theo married. Now, painting this picture, van Gogh's own remembering looked back to his origin, and the family again became the epitome of security on earth, with the birth of a boy who bore his name. 10 Facts That You Don't Know About "Almond Blossom"
1. The 1890 painting "Almond Blossom" was Van Gogh's gift to his newly born nephew and namesake. 2. 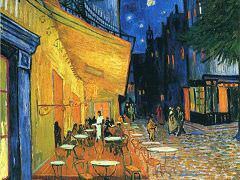 Van Gogh arrived in Arles in the spring of 1888 on the heels of a late snowfall. Housebound, he spent his first week painting such still life treatments as "Blossoming Almond in a Glass" and "Blossoming Almond Branch in a Glass with a Book." 3. He produced just about a painting of a flowering tree each day during the first month of his visit, including some of almond blossoms. 4. 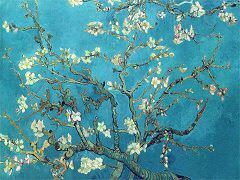 The "Almond Blossom" series of paintings contains strong elements of the Japanese Ukiyo-e prints that Van Gogh had been collecting. These elements include:Cropping of the image, Bold outlines of the branches, Absence of perspective/horizon, and Large, bright blocks of color. 5. 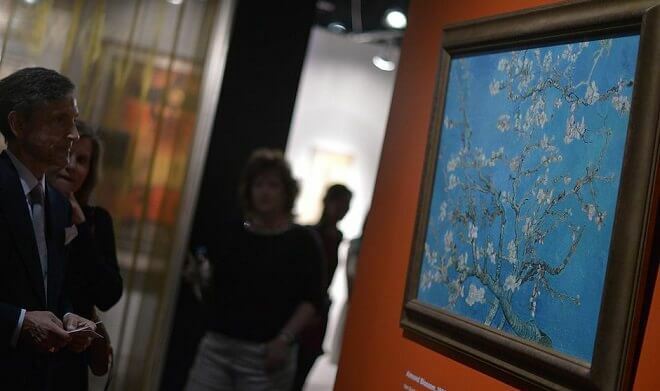 Van Gogh's "Almond Blossom" was part of a recent "Van Gogh and Japan" joint exhibition of his own works and Japanese paintings. 6. 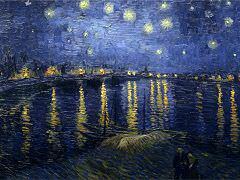 After Vincent's and Theo's death, "Almond Blossoms" went to Theo's widow, Joanna Van Gogh Bonger, and then to V.J. 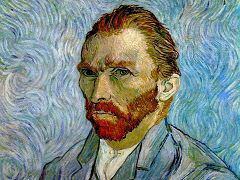 Van Gogh. 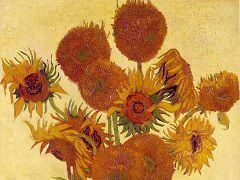 The Van Gogh Foundation acquired the canvas in 1960, and it now resides at the Van Gogh Museum in Amsterdam. 7. In his May 3, 1890 letter to Vincent, Theo praises the "Almond Blossoms," which his brother had sent in a group of works to Paris, as "very, very beautiful." 8. Ironically the artist completed his final painting of the blossoming tree, an image of rebirth and new life, a few short months before his death by suicide. 9. Theo and Joanna hung the final version of "Almond Blossoms" above their infant son's bed. Joanna wrote to the elder Vincent that it "seems to enthrall him." 10. Due to a fresh onset of illness during his work on "Almond Blossoms" in February 1890, the artist was unable to go out and paint the other flowering trees that spring, telling his brother Theo in a letter, "Really, I have no luck."